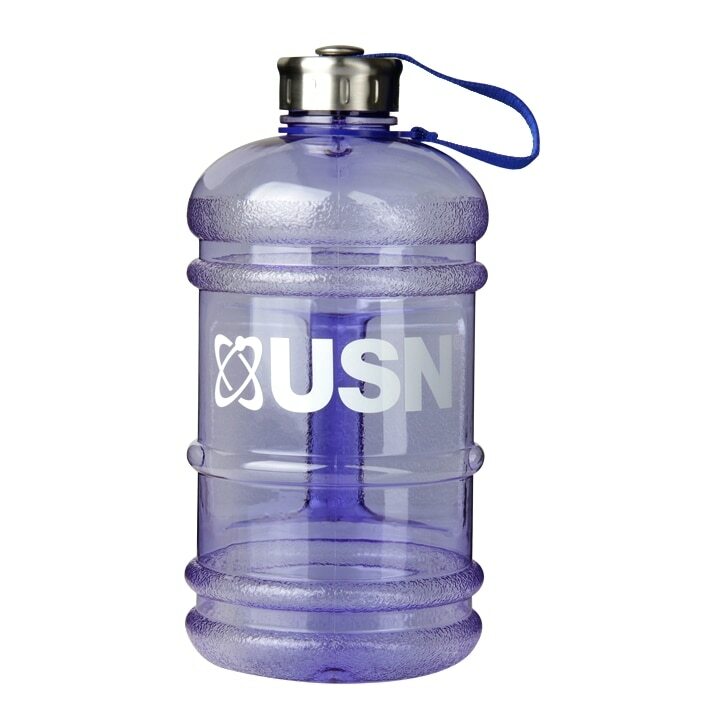 Keep hydrated with the perfectly sized USN 2.2l Water Jug. We should all drink around 2 litres of fluids a day and this is a great way to guarantee you get yours without having to constantly fill up a glass! USN Water Jug Original Blue is rated 5.0 out of 5 by 2. Rated 5 out of 5 by John7001 from Convenient Convenient, big and looks good. Always having lads ask where I got it from in the gym and work. I'm a builder so it's perfect. Only thing negative I guess, would be the handle. If it was solid plastic it would be better. But as it's hollow (but still strong) and overtime can get a little dirty as unable to get anything in to clean. But sorted that issue by using sterilisation tablets. Just make sure you rinse well after. Best thing about it is it's BPA Free.